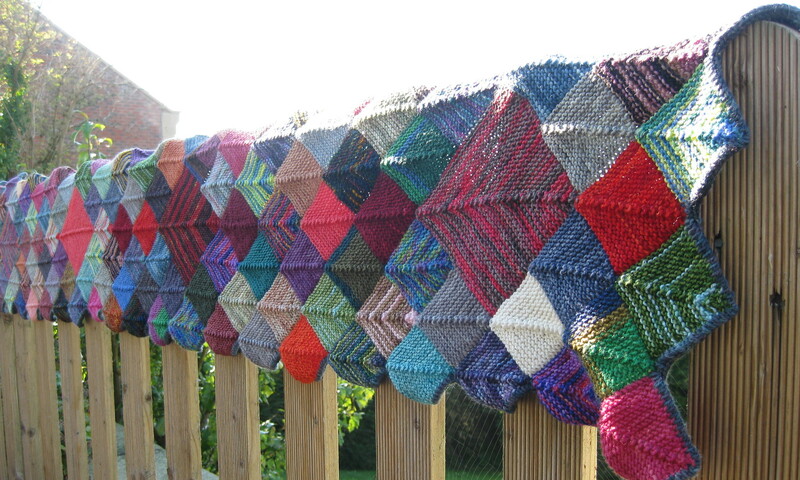 It really is true that you get better photos of knitted stuff when you take them in daylight. That’s more like the intensity. 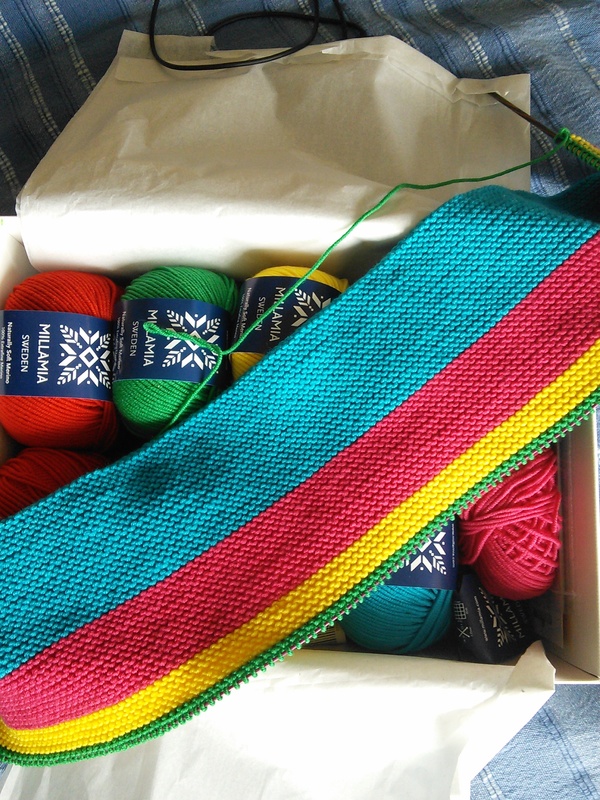 Observant readers will notice that I haven’t actually knitted any more, just turned it over to photograph the other side. We had a little trip to A&E yesterday. It turns out it was nothing to worry about, but the nice people on the 111 line couldn’t be sure without me taking the small person in to be seen. Do you know how long we had to wait? 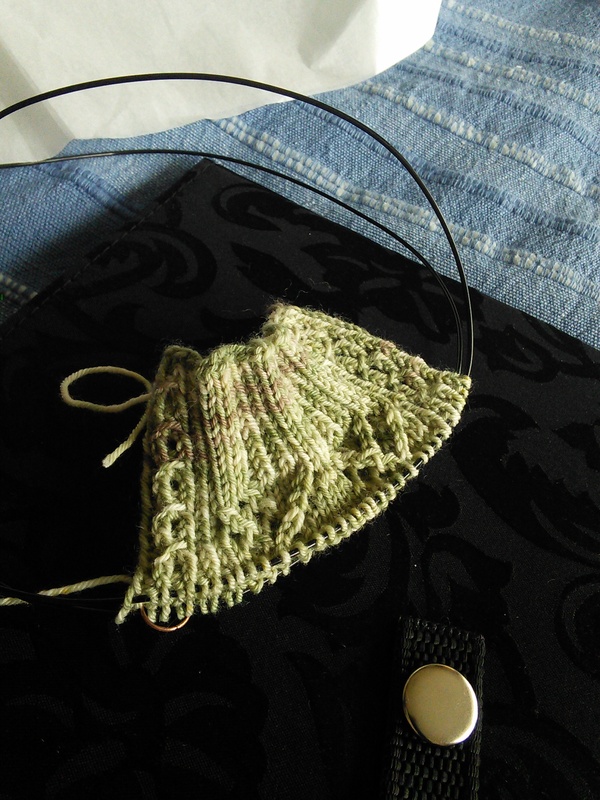 Three rounds of a lace sock. That isn’t long at all and we were by no means an urgent case. I love the NHS. In other news, the Easter holidays have started. I have escaped upstairs for some quality alone time. P.S. I’m onto 2007 in the great Yarn Harlot reread.